Hello! Today I have the pleasure of sharing this festive card by Melania. Check out how she used our Swim Team dies and sequins to create "liquid" in the glass. So clever! The offset pierced rectangle background along with the patterned paper at the bottom add so much detail. I love it!! Thanks so much Melania for sharing with us today! Thank YOU for stopping by to take a peek. Have a great day! 2 Cards and A Winner! Hello! I hope everyone had a great weekend! I have some fun cards to share with you to jump start the week! 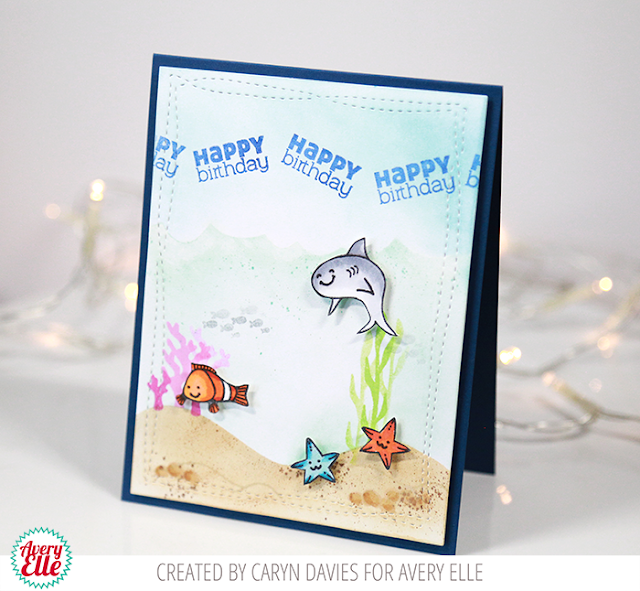 Caryn used our Swim Team stamp set along with our Wonky Stitches dies and an A2 note card to create this first card. I love the cute scene that she created! 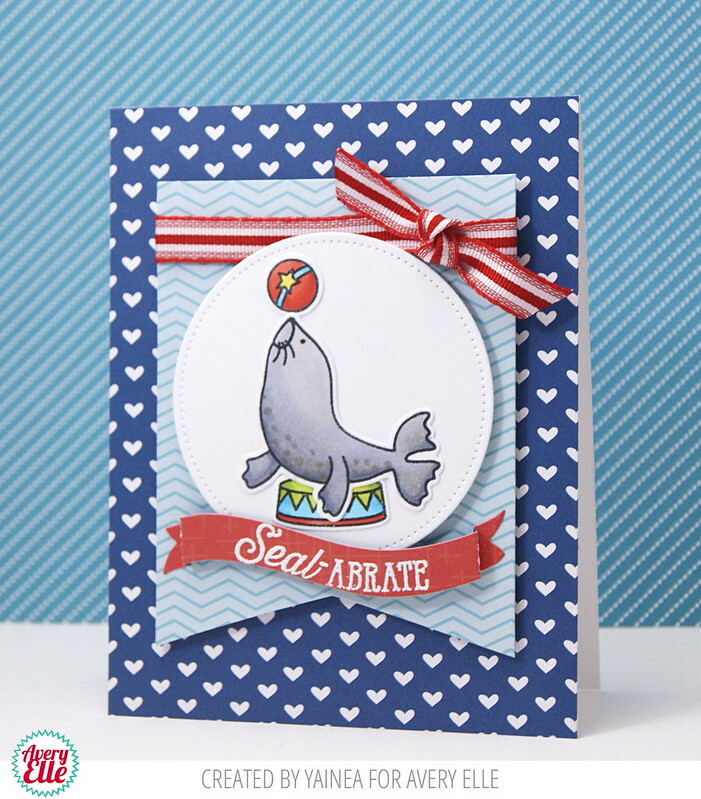 Yainea used our Seal-abrate stamps and dies, Double Pierced Circle dies, Wonky Stitches dies and patterned paper from our Jewel Collection and Everyday Collection to create this next card. I love how the seal takes center stage. The colors that Yainea used are just perfect! 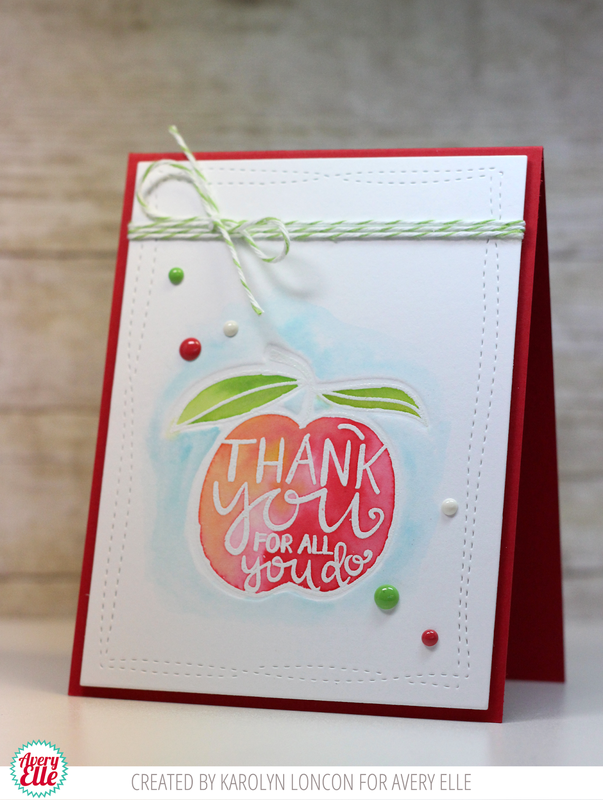 The winner of our Cardmaker blog hop from last week is Liz Mcallister for her comment on Caryn Davies's blog. Congratulations! Please contact us at customerservice at averyelle dot com so that we can get your prize to you. - See more at: http://glittermesilly.com/2015/06/avery-elle-cardmaker-magazine-blog-hop/#comment. Congratulations! Please contact us at customerservice at averyelle dot com so that we can get your prize to you. Thanks Caryn and Yainea for the fabulous inspiration! Thank YOU for stopping by to take a peek. Have a great day! Today is an exciting day. 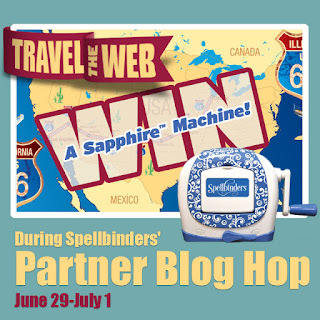 We are participating in the Spellbinders 2015 Summer Road Trip Blog Hop. There are 11 companies and amazing tutorials that will be shared over the course of the next three days. 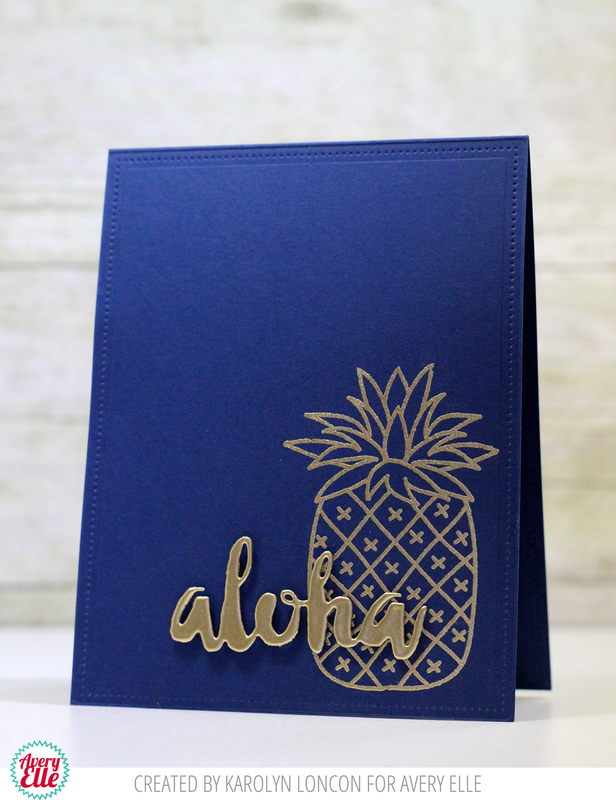 Our friends at Spellbinders have provided two of our Design Team members with dies and as you will see, they work so well with our inks, stamps and patterned paper! They have also come out with a new machine, Sapphire! Sapphire is an easy to use manual die cutting machine for beginners that cuts and embosses paper and other materials. It cuts and embosses using dies up to 2 1/4” wide with the turn of a handle. It also has coordinating Sapphire™ blue dies. You can use the machine with the NEW blue Sapphire die templates, as well as with most Spellbinders and other leading dies. The Sapphire™ machine and the Sapphire™ dies are sold exclusively at Jo-Ann craft stores and Joann.com. Visit www.SpellbindersCreativeArts.com/Sapphire to learn more. Let's get to the projects shall we? Be sure to go all the way to the bottom of this post to enter to win a giveaway from Avery Elle and Spellbinders! I created this first card using Spellbinders new PHD-009 Basic Tag Two die and PHS-501 Numbers and Letters Two dies. I love how bright and cheerful this is! 1. 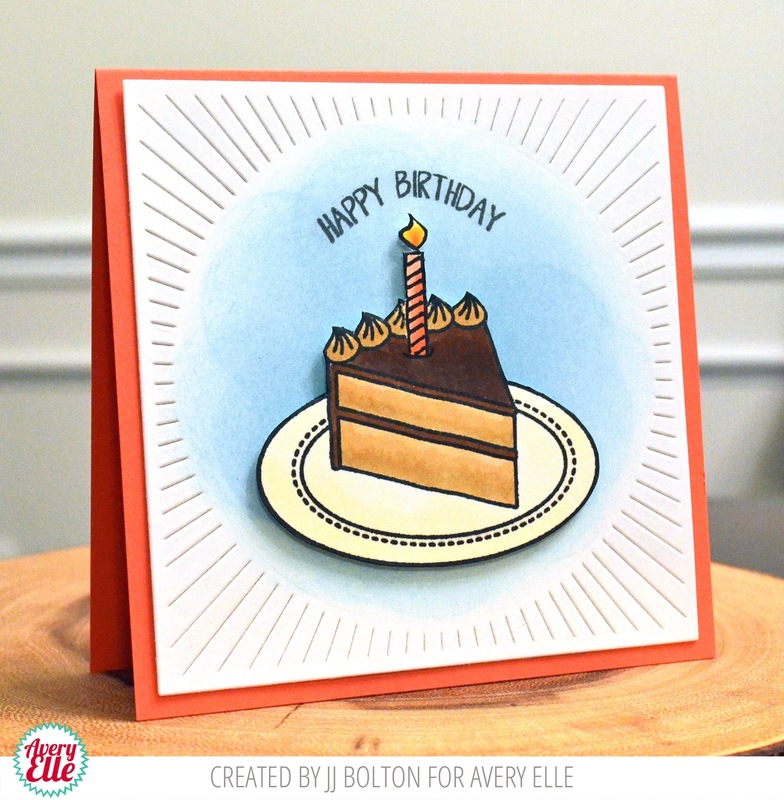 Use an Avery Elle Silver Fox card base. 2. 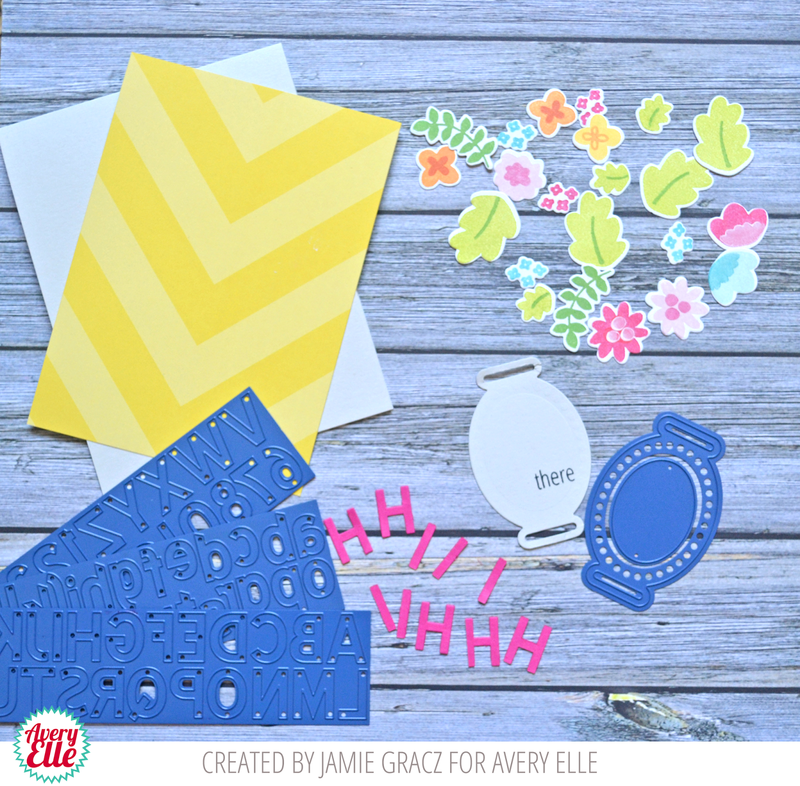 Cut a piece of patterned paper 4" x 5.5" from our Brights or Everyday Paper Collection. 3. Stamp and die cut Fabulous Florals flowers and leaves using Avery Elle pigment inks. 3. Die cut Basic Tag Two label from Spellbinders. 4. Die cut Numbers and Letters Two H & I letters. Repeat 5 times. 5. 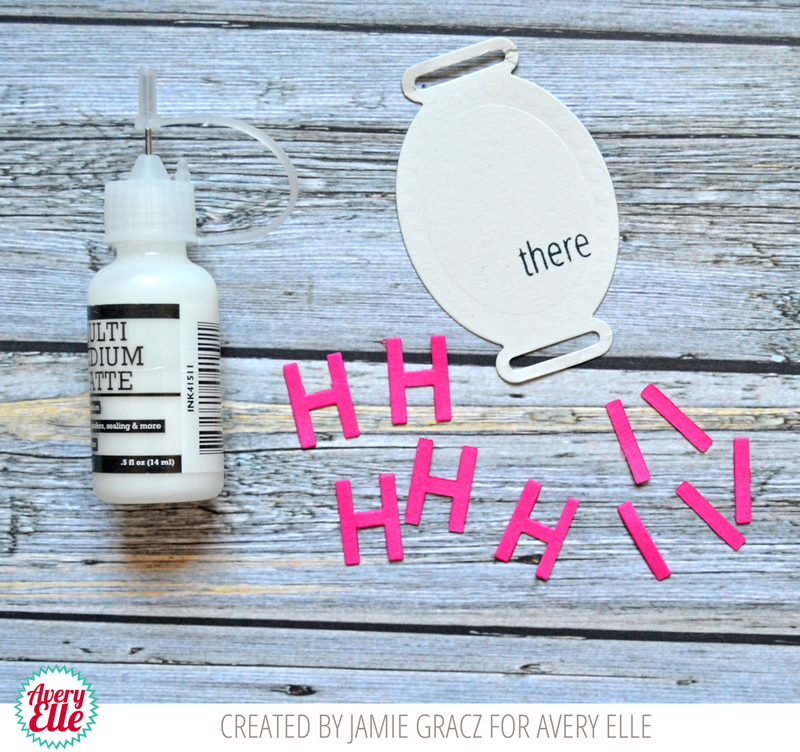 Add dimension to the letters by gluing the Hs and Is together on top of one another using Multi Medium Matte glue. 6. Stamp "there" from Avery Elle's Simply Said Hello stamp set and adhere the H & I stacked letters to the label die cut. 7. Thread ribbon through the label die. 8. Wrap the ribbon around the patterned paper panel and tie into a bow. Adhere this onto the card base. 9. Adhere the die cut flowers and leaves around the label die cut. Heather Campbell created this next party set. I love how cute this is. Perfect for a Seal-abration!! 1. Die cut a blue piece of card stock using Spellbinder's PHD-003 Ovals die set. 2. 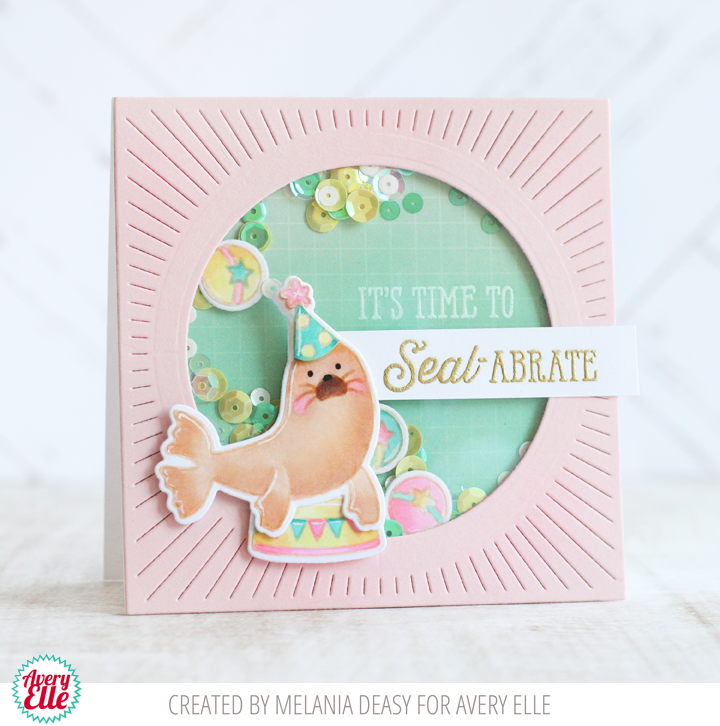 Stamp, die cut and color images from Avery Elle's Seal-abrate stamp set. 3. 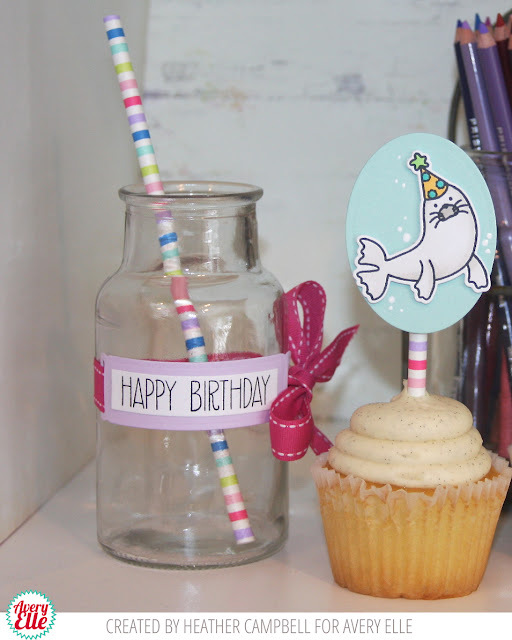 Adhere seal die cut to the oval base and attach to a paper straw (cut to size) using strong adhesive. 4. 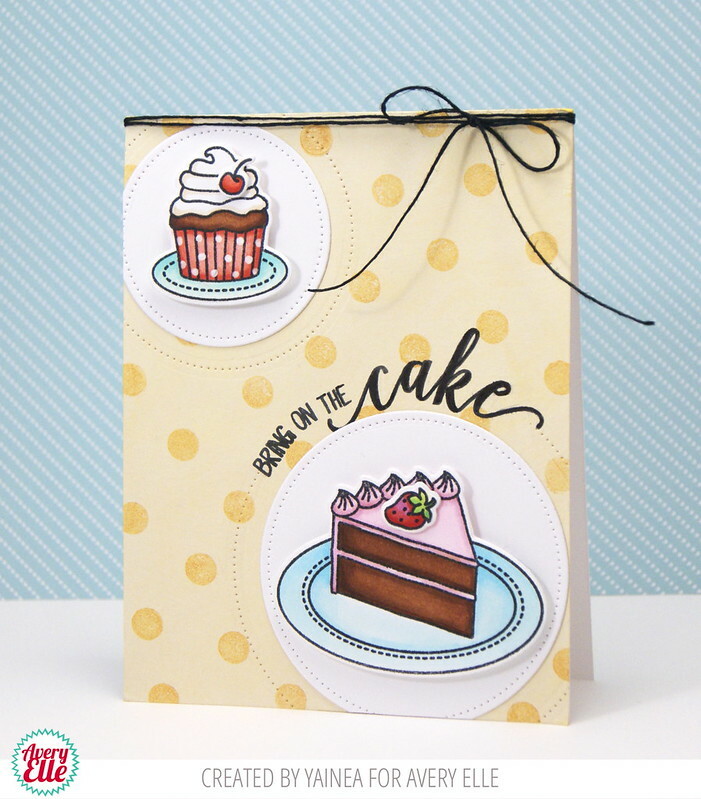 Die cut a label using Spellbinders PHS-508 Celebrate Label out of pink card stock. 5. 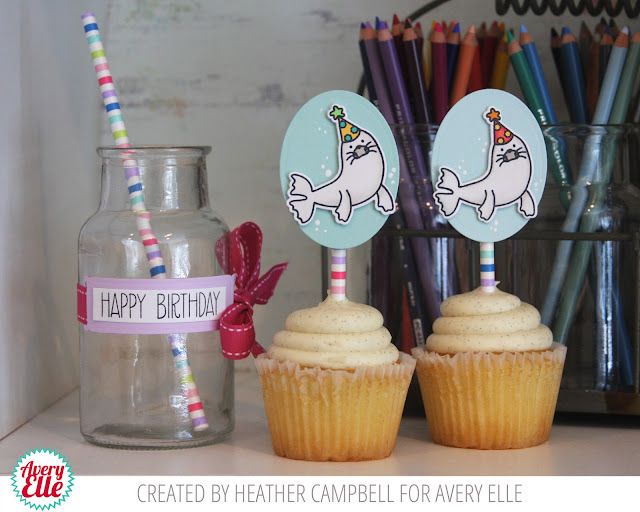 Stamp the Happy Birthday sentiment from Avery Elle's Handwritten Notes onto a white piece of card stock and adhere to the label. 6. Thread ribbon through the label die and tie into a bow around the milk bottle. 2. Die cut a piece of white card stock using Avery Elle's Double Pierced Rectangle Die set. 3. Stamp images using Avery Elle Pigment Ink from Avery Elle's Bunting stamp set onto the white die cut from step 2. 4. Stamp the Happy Birthday sentiment from Avery Elle Handwritten Notes stamp set. 5. Die cut a yellow piece of card stock using Spellbinder's PHD-003 Ovals die set. 6. 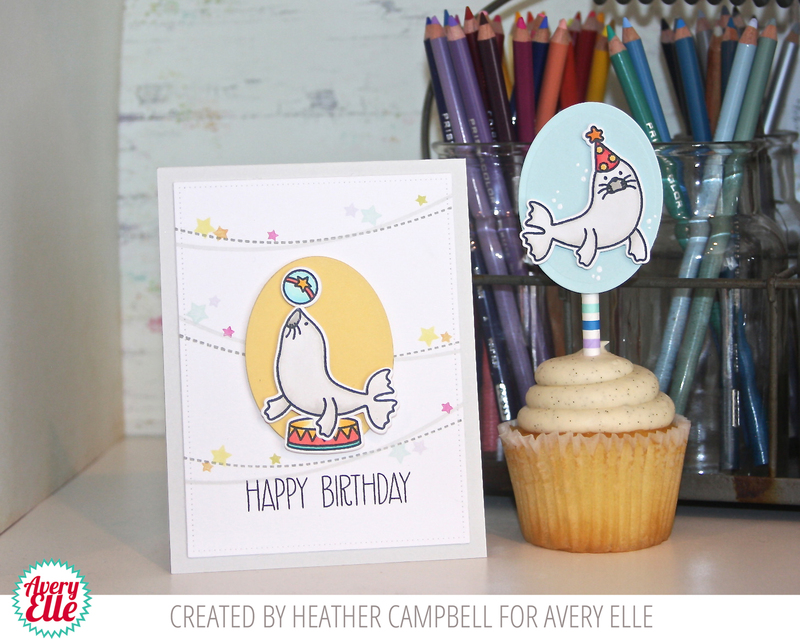 Stamp, die cut and color images from Avery Elle's Seal-abrate stamp set. Now for the fun part! 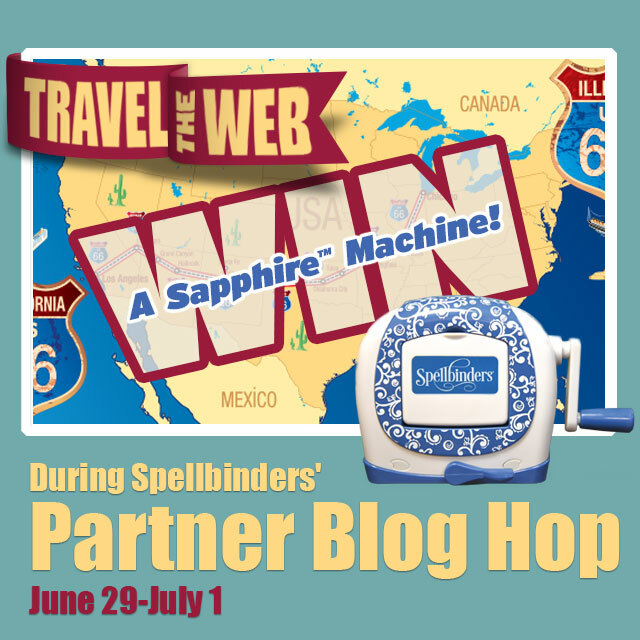 Spellbinders is hosting a giveaway to celebrate the festivities. To enter the contest, please click on this link . The daily winners will receive product from each of the companies featured on that day. For example, the Day 1 winner will receive the products from Avery Elle, Want 2 Scrap and Graphic 45 Papers AND the Spellbinders Sapphire dies. The Grand Prize winner will receive product from companies from all 3 days + a Sapphire machine. Be sure to check out the other partners participating today to see their creations and enter their giveaways! For the contest rules please click here. Hello and Happy Friday! I hope everyone had a great week! I have two fun cards to share with you today. 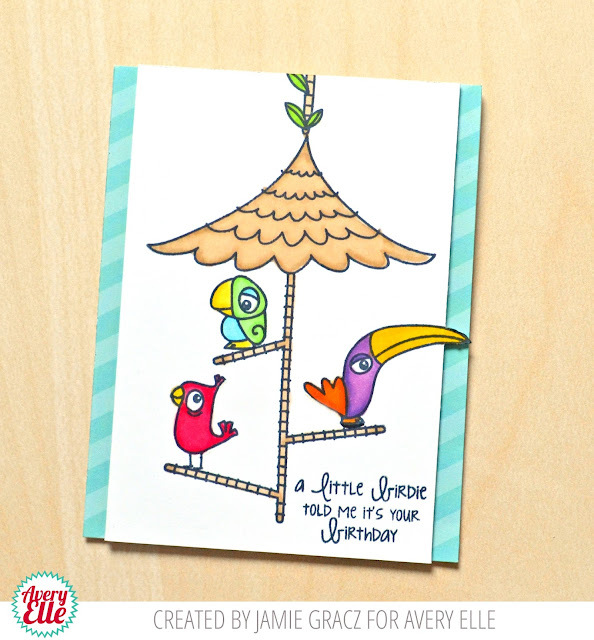 Katie used our new Balloon Giraffe stamps and dies along with our Double Pierced Rectangle Elle-ments dies and a Raspberry note card to create this first card. The white embossed sentiment really pops against the black card stock. I love the polka dot background and fun color combination!!! Karolyn used our Stay Fresh stamps and dies along with our Pierced Rectangles Elle-Ments dies to create this next card. I love how the gold embossing looks against the blue! It is clean, simple and pretty!! Thank you so much Katie and Karolyn for sharing with us today! Your cards are fantastic! Thank YOU for stopping by to take a peek. Have a great day! Hello! I have not one, but two fun cards by Heather to share with you today. 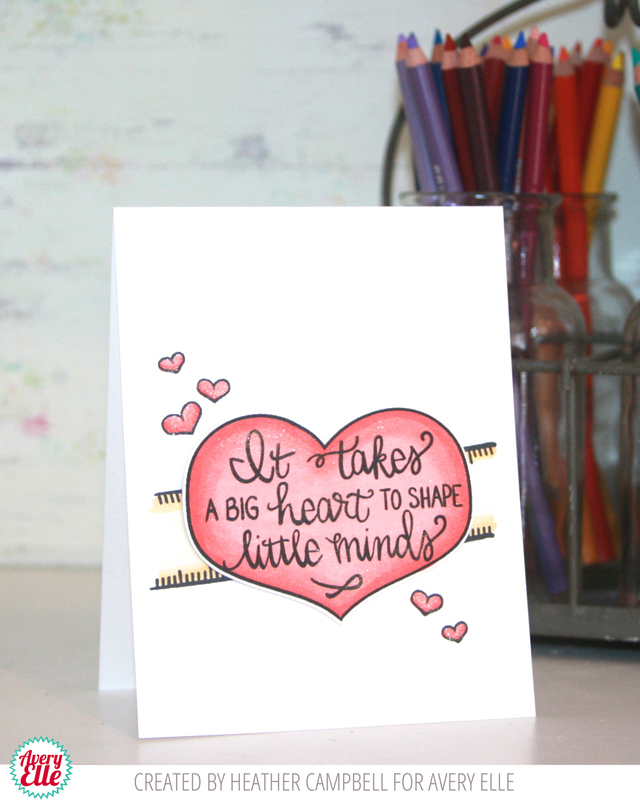 She used images from our Little Minds stamp and die set to create both cards. I love the different looks that she was able to achieve. The pierced rectangle frames the doily and the apple in the first card perfectly and I love the masking that Heather did in the second card. They are both terrific!! Thanks Heather for being so fantastic!! Thank YOU for stopping by to take a peek. Have a great day! Hello! I have a fantastic project by Maska to share with you today! 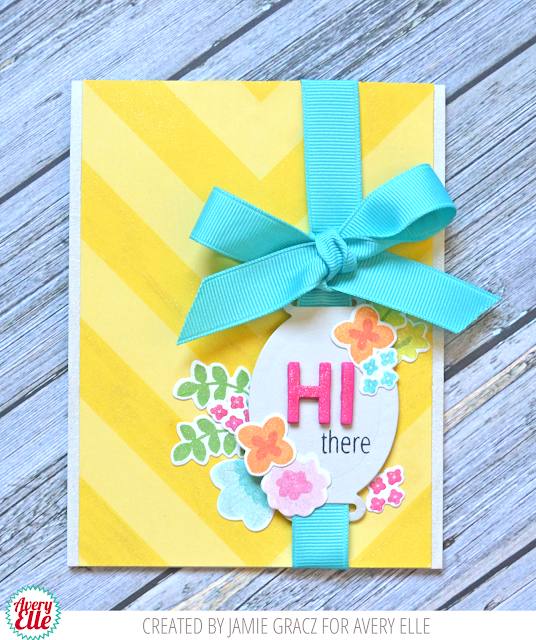 She used our new Petal Panel stamp set and Petal Plate dies to create this cute layout! I even spy a Double Pierced Circles die cut here. These colors are so cute and that top hat is just adorable! I love it!! Thanks so much Maska for the amazing inspiration. Thank YOU for stopping by to take a peek. Have a great day! Hello! I have an "amazing" card by Melania to share with you today. I love this sweet friendship card. It is so cute! The colors and shading are just gorgeous! I created this card using our new Tweet Tweet stamp set and patterned paper from our The Brights Collection Paper Pad. I love the way all these little quirky birds look on their tropical perch. It just makes me happy! :) Perfect for a summertime birthday card! 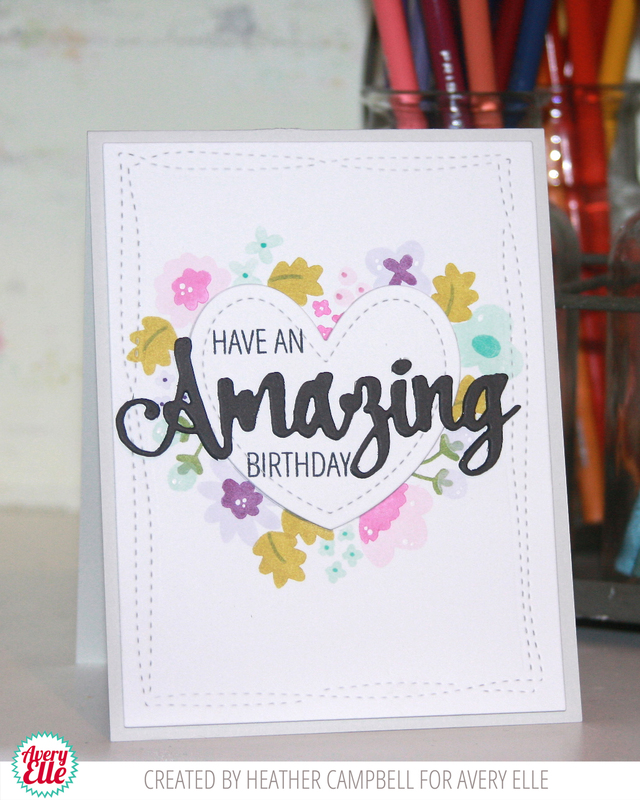 We are the last stop of the hop so if you have just stumbled upon us, be sure to start at the CardMaker Magazine blog to see all of the fun and inspiration. We hope that you have enjoyed all of the amazing projects!! Katie has a fun project to share with us today. She used our Little Minds stamp set and coordinating dies to decorate pages of an Instagram album (4" square) for her daughter's teacher. Isn't that a great idea? 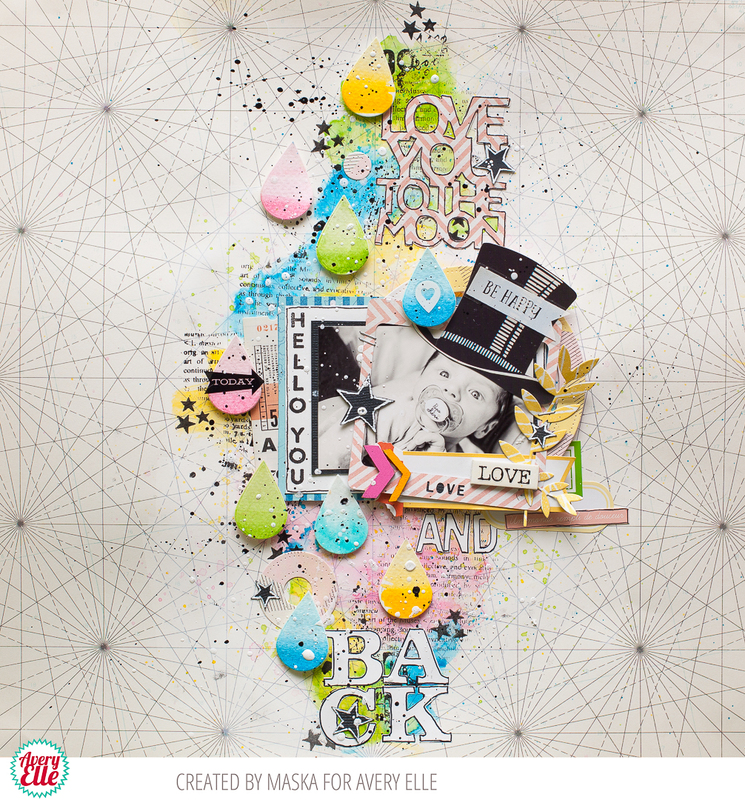 Our The Happy Collection and The Jewel Collection paper pads make the perfect backdrop for the fun images. I love it!!!! Thanks Katie for sharing your awesome idea! Thank YOU for stopping by to take a peek. Have a great day! Happy Thursday! I hope everyone is having a great week. I am so happy to have two pretty shaker cards to share with you today! JJ created this first card using our Peonies stamps and dies, Double Pierced Circle Dies and patterned paper from our Neutral Collection. I love how striking and bold this is!! 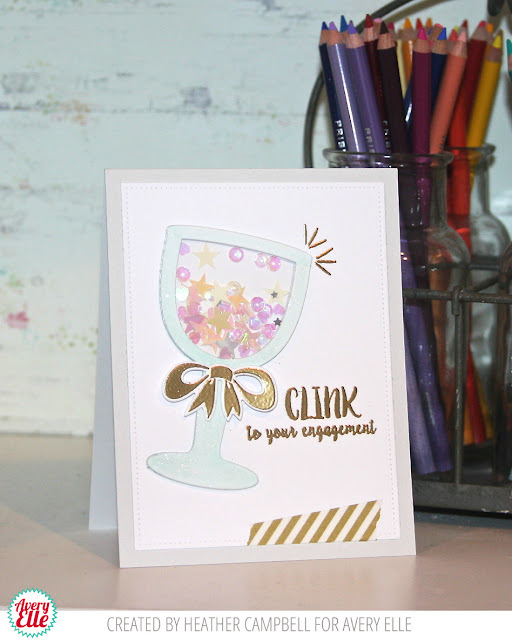 Heather used our Happy Hour stamp set, Wine Shaker dies, Homemade stamps and dies (for the bow) and our Double Pierced Rectangles dies to create this next card. I just love it!! Thanks Heather and JJ for sharing! Thank YOU for stopping by to take a peek. Have a great day! 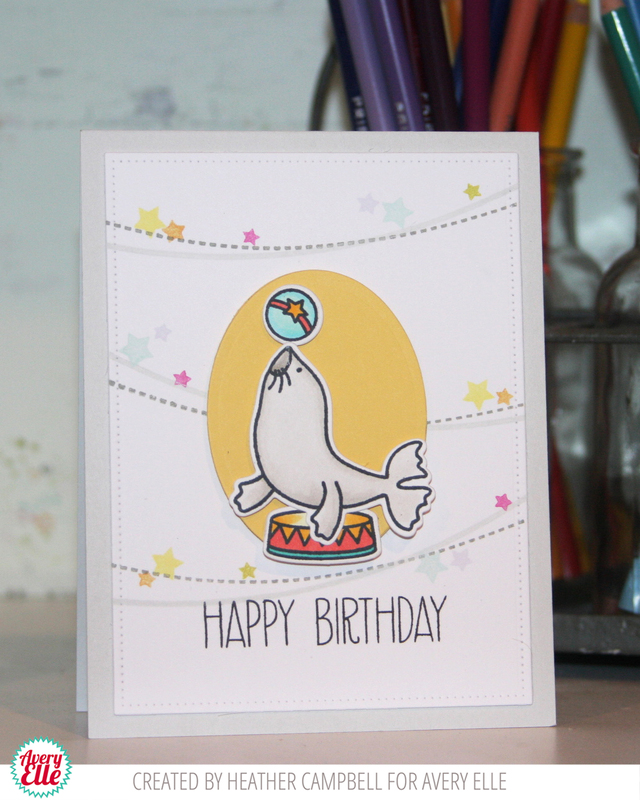 Today I have the pleasure of sharing a fun card that Maska created. Check out how bright and cheery her Tweet Tweet card is. It just makes me smile!! I LOVE it! Thanks Maska for sharing this awesome card with us today. Thank YOU for stopping by to take a peek. Have a great day! Hello! I have a fantastic shaker card by Melania to share with you today. I just adore the color combination and Melania's gorgeous coloring! For more details, be sure to check out her amazing blog at melaniadeasy.blogspot.com . Thanks Melania!!! Thank YOU for stopping by to take a peek. Have a great day! Hello & Bring On The Cake! Hello! I have two fantastic cards to share with you this Monday. 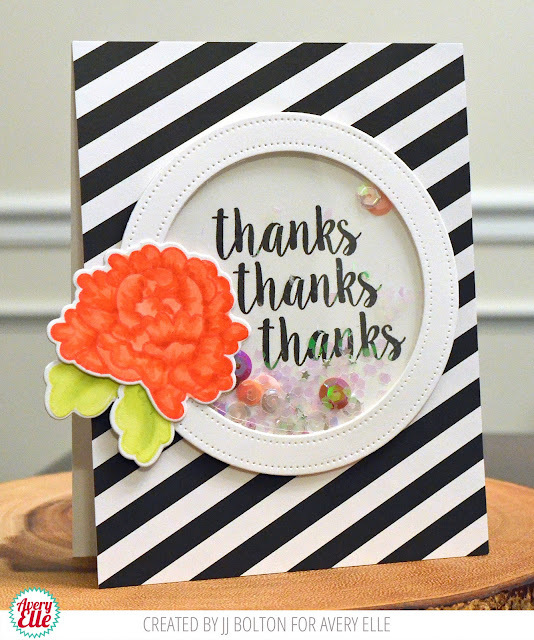 Caryn created this first card using our Petal Panel stamps & Petal Plate die. I love how she created a watercolor background and used the die cut panel to create a lattice effect. It is so modern and pretty! Yainea used our Double Pierced Circles dies, Pierced Circles dies and Bring On The Cake stamps and dies to create this next card. I love how she created two focal points for the cake images. That curved sentiment is just perfect! Hello! I have two fun cards for you this Friday! 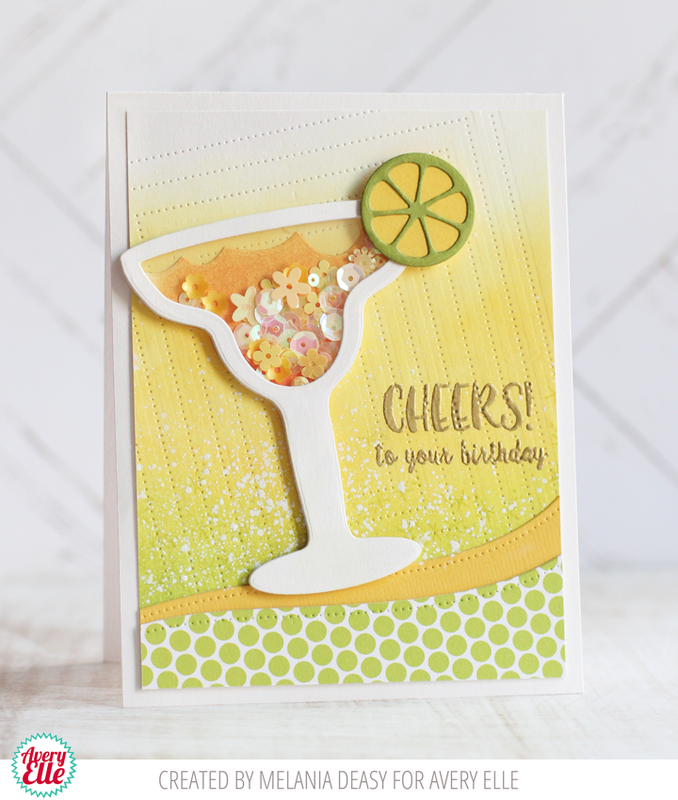 Katie used our new Happy Hour stamp set, Margarita Die set, and our Jewel Collection and Brights Collection Paper Pads to create this first card. 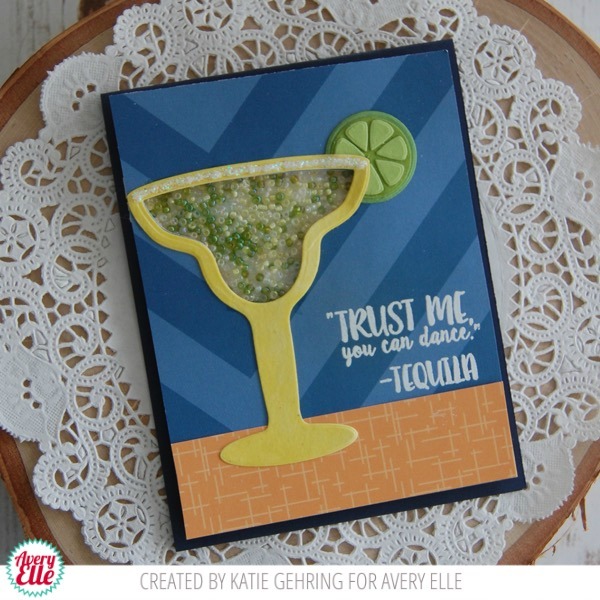 I love the faux salt rim on this shaker card. That sentiment makes me smile each time I see it too!!! Karolyn used our Little Minds Stamps, Little Minds Elle-Ments dies (to deboss the apple image) and Wonky Stitches dies to create this next card. I love the way the apple looks in this fun watercolor card! It is sure to brighten someone's day! Thanks Katie & Karolyn for sharing your talent with us today. Thank YOU for stopping by to take a peek. Have a great weekend! Hello and Happy Thursday! I have two fantastic cards to share with you today. Heather used our Simply Said Amazing stamp & dies, Geek Love die and Wonky Stitches die to create this first card. I love how she stamped the flowers from our Fabulous Florals stamp set in our gorgeous pigment inks and situated them so that they are peeking out from behind the heart. It is so pretty!! 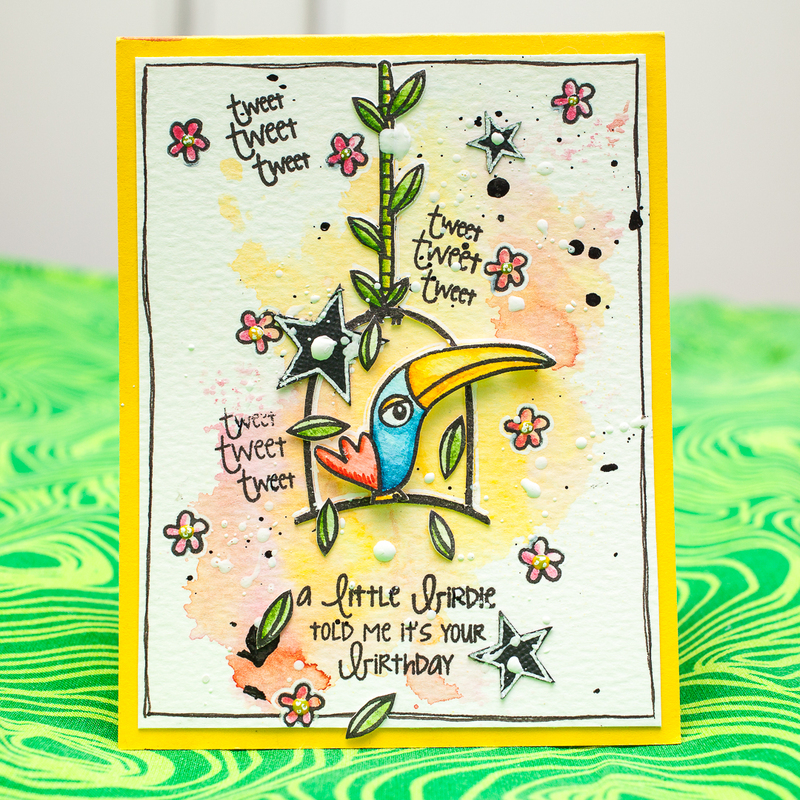 JJ used our Bring On The Cake stamp set, Burst die and the candle from our Cupcakes set to create this next card. I love how that cake image takes center stage in the burst die cut! It looks so awesome!! Thanks JJ & Heather for sharing with us. As usual your projects are amazing!! Thank YOU for stopping by to take a peek. Have a great day! 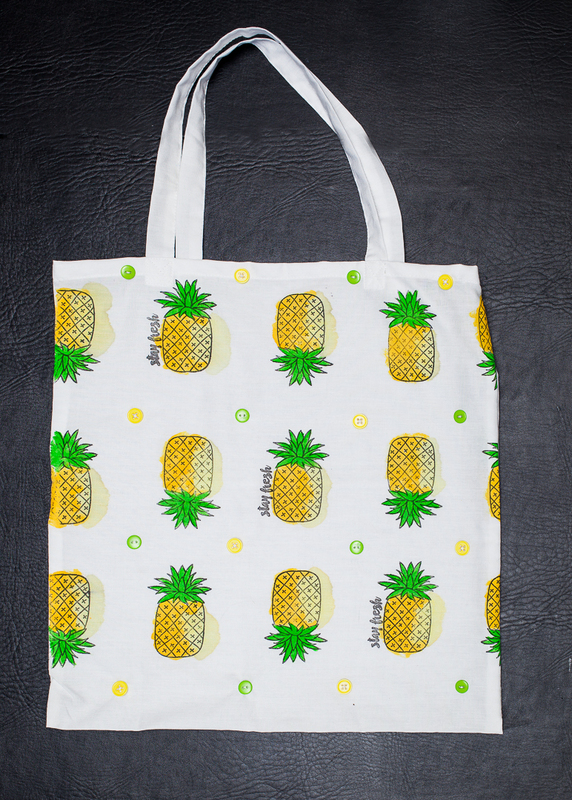 Today I have the pleasure of sharing a fun tote bag that Maska created. 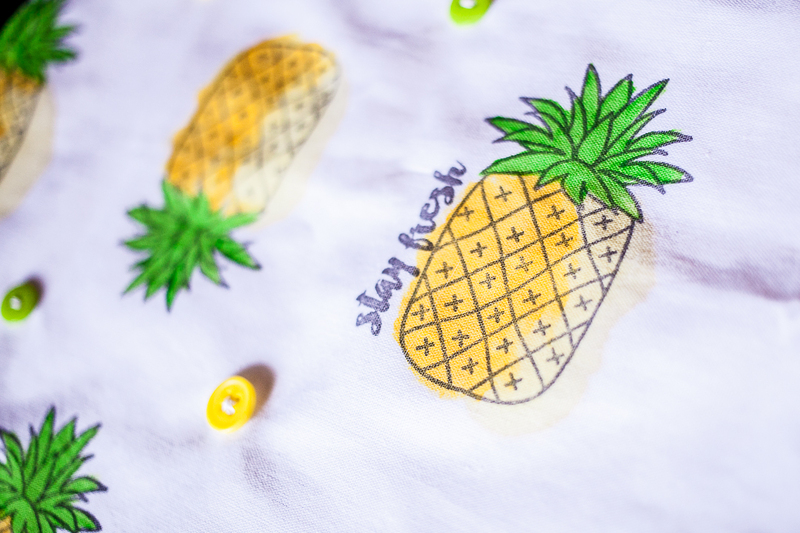 She used our new Stay Fresh stamp set to stamp the pineapple and stay fresh sentiment in a pattern using fabric safe ink like Versacraft or Momento Luxe ink. She sewed on some coordinating buttons and colored the images to finish the project. This would be perfect for using as a reusable bag at a farmer's market, grocery store, pool or beach. I love it!! On another note, our friend Vicky over at Clips-n-Cuts is having a week full of videos and inspiration using some of our newest sets on her blog this week. She may even be having a giveaway or two. Be sure to check out her amazing work! I know that you will come away inspired! fun week full of videos and inspiration! Thanks Maska for sharing this "fresh" project with us today. Thank YOU for stopping by to take a peek. Have a great day! Hello! I have a gorgeous watercolor card by Melania to share with you today. 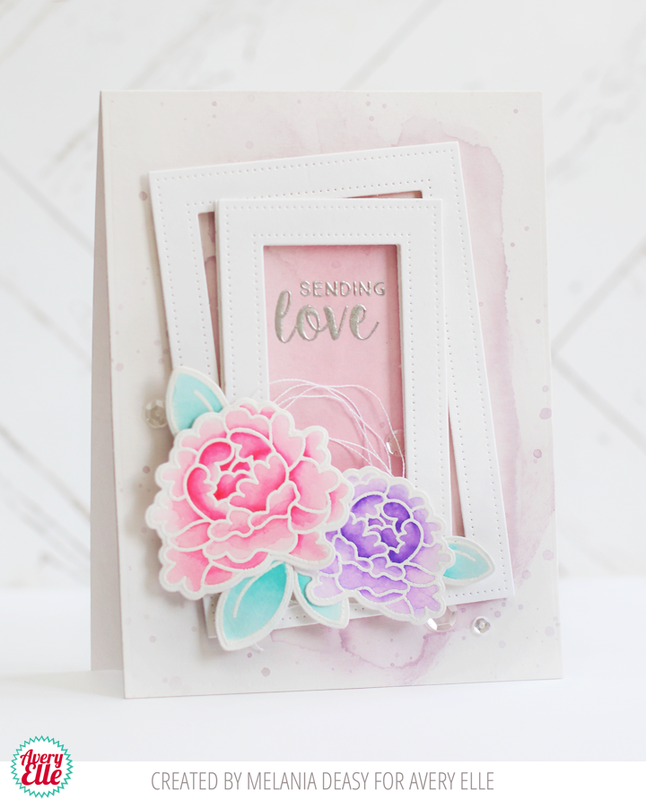 She used our new Double Pierced Rectangles dies to frame the sentiment and images of our Peonies stamps and dies. I love the way she stamped and embossed the flower images in white and shaded the petals and leaves! It is so pretty! Thanks so much Melania for sharing! Thank YOU for stopping by to take a peek. Have a great day!